How incredible is this photograph? The Atlantic has a beautiful collection of photographs from the NYC Municipal Archives. I love old photographs, and these ones have beautiful lighting and composition. They show an intriguing insight into another time. More beauty here. 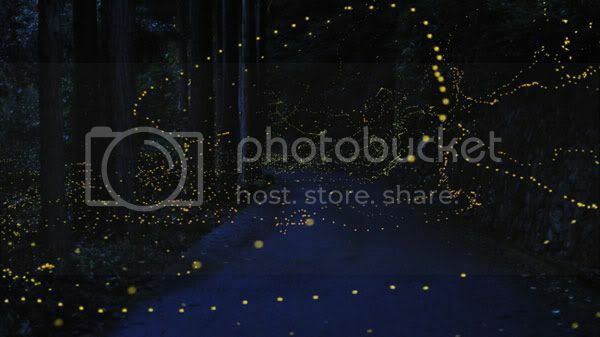 Tsuneaki Hiramatsu has taken these beautiful long exposures (and multiple exposures) of fireflies! I was so excited to see my first fireflies in the USA during my trip last year, I wish I had a tripod to take pictures like this! I was proud of capturing my tiny glowing dots, but these are like a fairy land! These modular shelving systems from J1Studio are great! I usually HATE bookshelves and shelving that is wacky shapes and such, as I have a LOT of books and need them to be as efficient as possible. However, these ones look pretty practical, you could hang things from the bottom (lamps, trinkets, pretty things? ), and it looks like they fit a good amount of books. The main selling point for me is that this definitely, 100% would double as a cat jungle gym in my house! How cute! Oye Modern sells jewellery from independent and emerging designers. I have had my eye on this necklace for about... oh, 2 years now, since I saw it in a magazine. 40% at the moment!! I'm not sure I can justify it, I am trying to be good. Do I really need a pencil shaving necklace. Must. Be. Strong! I'm going to try and include my favourite blog post from the week in this feature, and this week, the honor goes to Sarah over at SillyGrrl. Her post on escaping her day job was really uplifting for me this week, and it came at the perfect time, just as I was starting to wonder if all the hard work will pay off. Reassuring and inspiring!